An estimated 6,000 children1 are still living in temporary housing, and their daily lives involve navigating open sewers and mounds of sharp rubble and being exposed to diseases such as diarrhoea and pneumonia. There has already been a major outbreak of Dengue fever in Indonesia. “While tens of thousands of people have been reached, six months after this disaster we are extremely concerned about the estimated 6,000 children still living in temporary accommodation such as tents, as well as the thousands more that are living in homes that have been damaged. The temporary accommodation is basic – tents or makeshift homes – and often have bare floors, which flood when it rains,” said Tom Howells, Save the Children’s Response Team Leader in Indonesia. 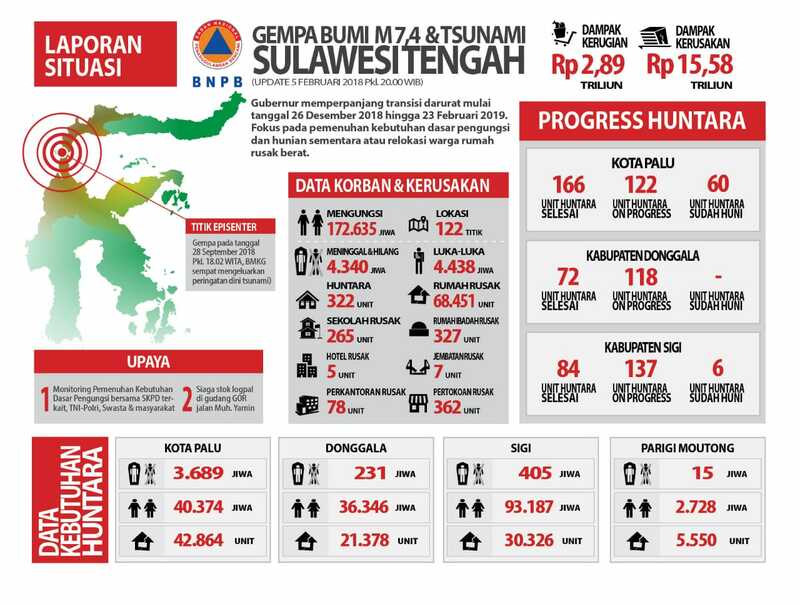 Over 4,300 people were killed and over 170,000 people displaced in the disaster in Sulawesi, which was Indonesia’s deadliest in over a decade. The event also badly damaged or destroyed over 40,000 homes, including those which completely disappeared in the rare ‘liquefaction’ phenomena that caused tracts of land to take on the characteristics of liquid3. Salsa, 10, has lived in a tent with her parents since the tsunami destroyed her home. The tent has no floor and the door is covered with a blanket, which cannot be securely closed. “Because of the big wave, the foundation of our house disappeared… I was with my cousin, I was crying, and looking for my mum,” said Salsa. Since the disaster struck, Save the Children in Indonesia (Yayasan Sayangi Tunas Cilik) has been working to ensure children’s immediate needs are met and basic services can operate. To respond to the urgent shelter needs alone the agency has already reached over 100,000 people with shelter kits, hygiene kits, clean water kits and mosquito nets.